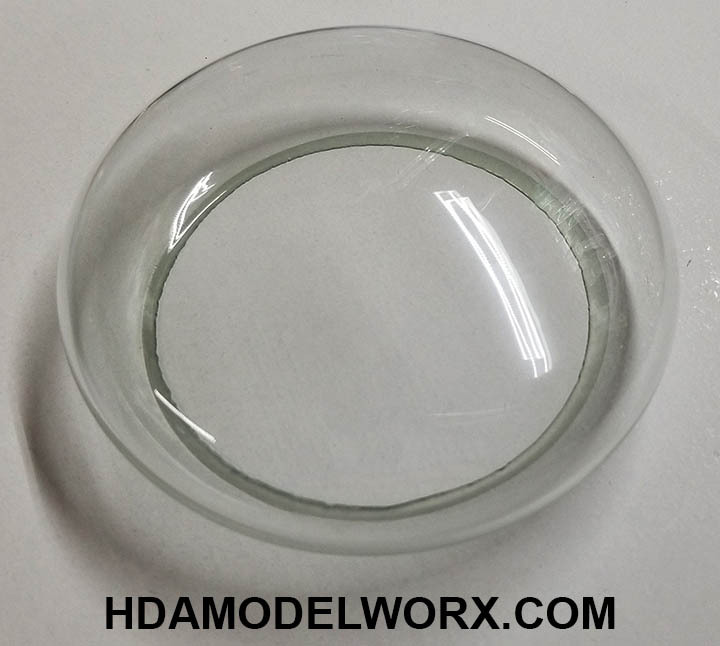 This upgrade kit, for those who have already built their B9 and would like to upgrade, includes a complete head and neck assembly featuring all new seamless glass dome. 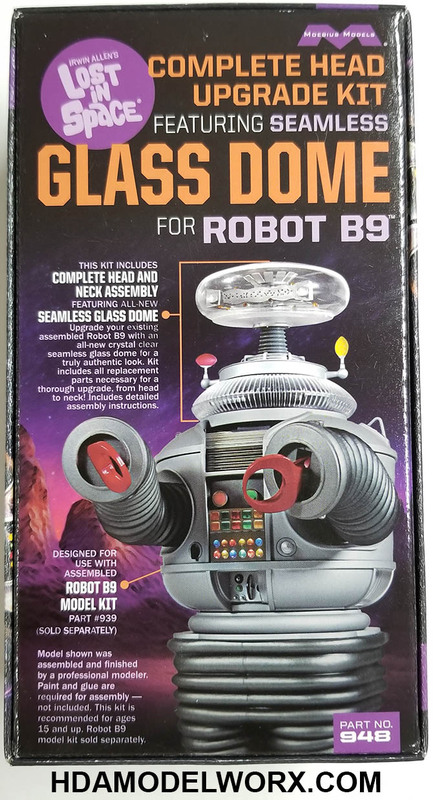 Upgrade your existing assembled Robot B9 with an all new crystal clear seamless glass dome for a truly authentic look. Kit includes all replacement parts necessary for a thorough upgrade from head to neck! Includes detailed assembly instructions. 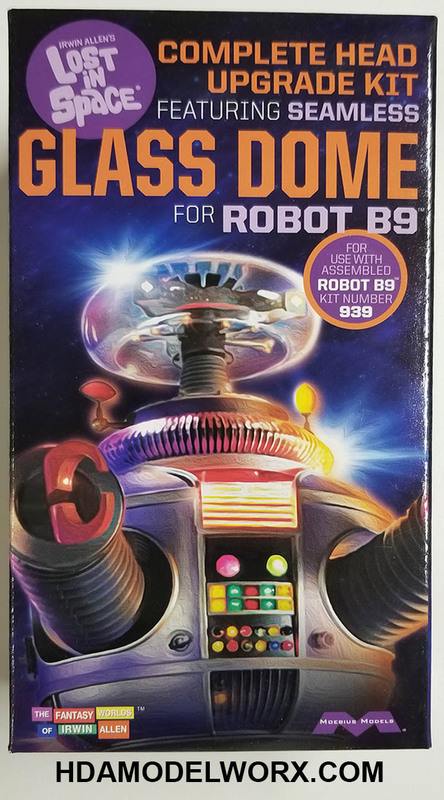 Designed for use with assembled Robot B9 Model Kit (MOE939) sold separately. THIS KIT IS FOR THE ASSEMBLED MODEL KIT as an upgrade. 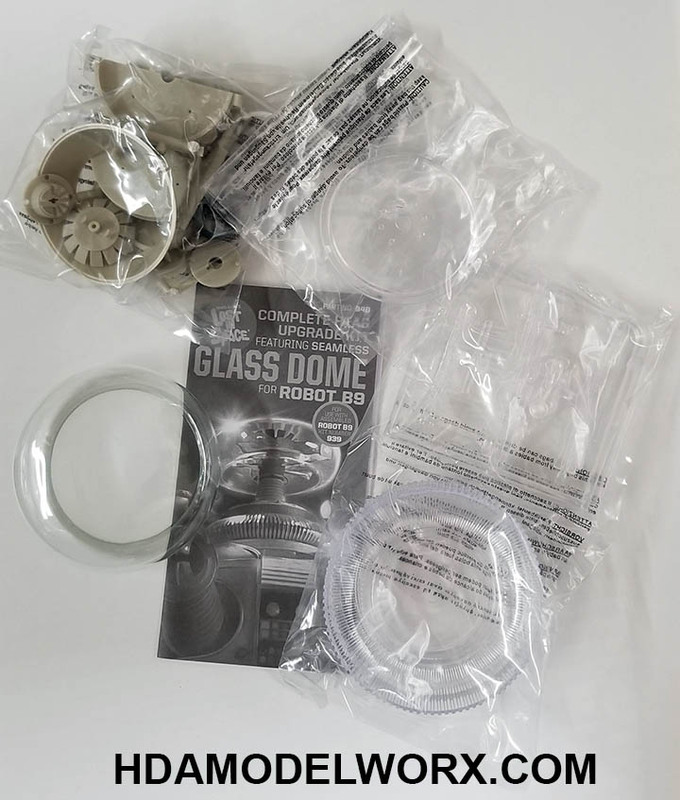 There is another upgrade kit for those who haven't built their B9 and want to upgrade to the new glass dome! 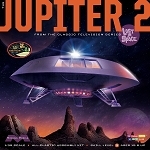 Check below for the link to this and other great Lost in Space products!